If you are looking for nature’s beauty with a wide open space, our Countryside Meadows setting is perfect for you. The view is magnificent! 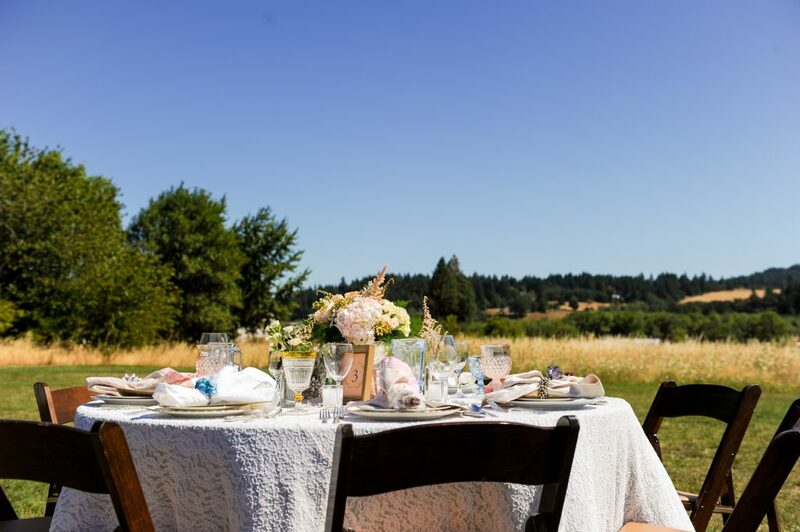 All you really need is seating for your guest because your backdrop is ready and waiting. If you’d like to get a bit more creative, we’ve got a few ideas for you. 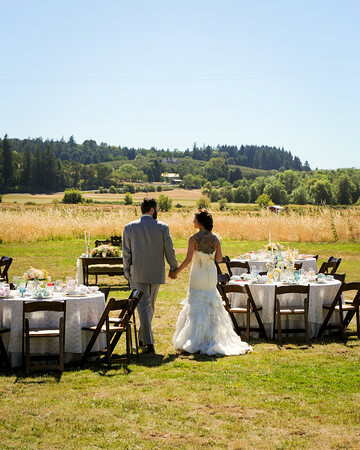 White chairs are classic and a part of your rental package! 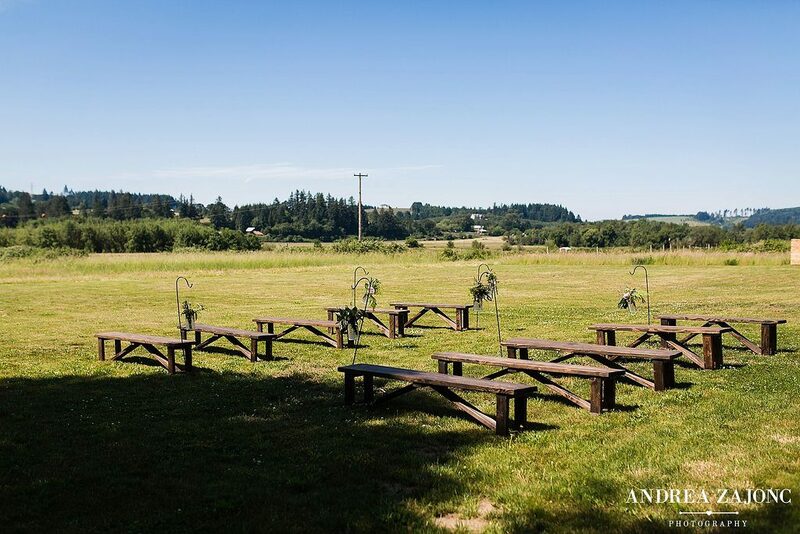 They really pop against the lush green backdrop and provide a comfortable seat for your guests wile you say “I Do!”. 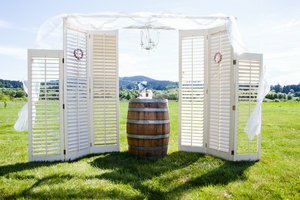 To bring a center to the vast landscape and provide a frame to center the happy couple, consider some shutters and a wine barrel (pictured above). Add some personality with a chandelier, draping, or floral. If rustic is more your style, add a log arbor with some cute accents. Candles, lanterns, floral, anything that speaks you and your design aesthetic because, on a clear day, the view really is all you need. 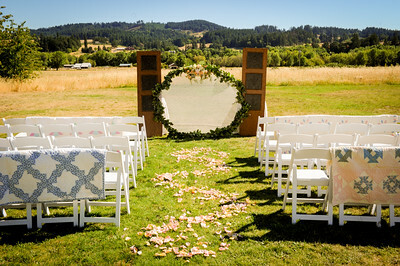 Two vintage shutters and a transparent floral hoop can be just the right accent for a vintage cottage themed wedding. Line the backs of the chairs with gorgeous quilts for the perfect amount of texture and color that adds to your ceremony space, instead of distracts. 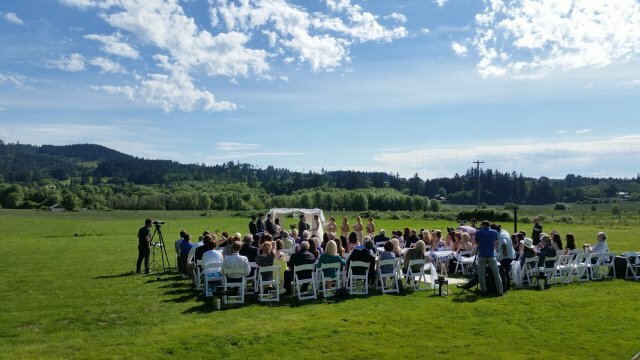 If the sun has you concerned, change up the angle like this sweet little ceremony. 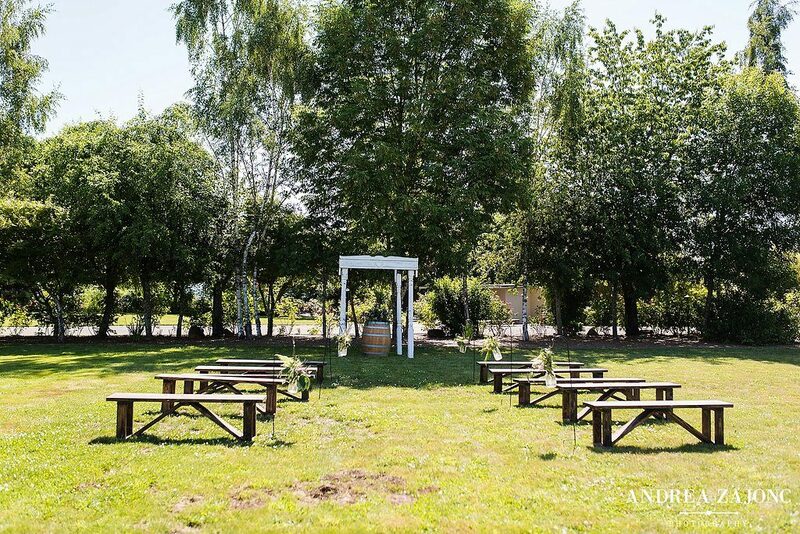 Place your arbor under the shade of the trees to keep cool while exchanging vows. 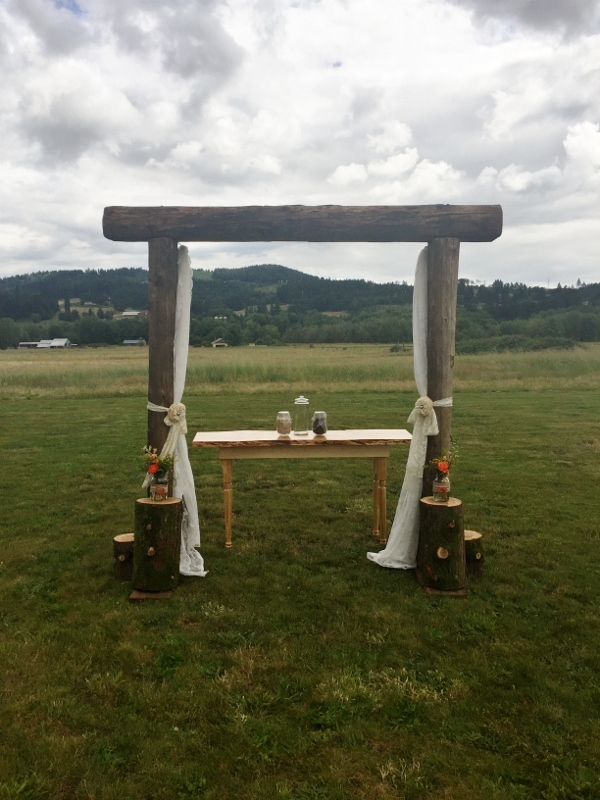 Draw people’s eye towards the center with a cute shabby chic arbor and a wine barrel, perfect for our wine country location. 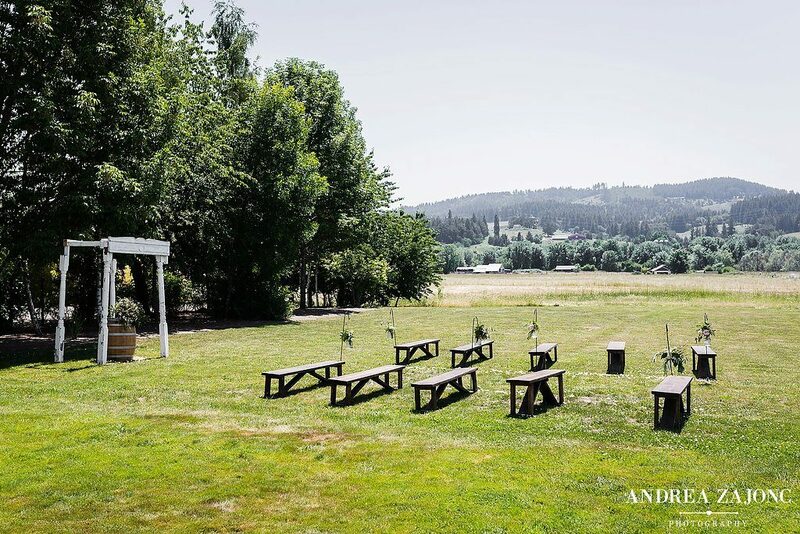 At this angle, your guests will be engulfed in the beauty of the valley. Keep things simple with wood benches and shepherd’s hooks with floral to add just the slightest touch of femininity to your natural space. 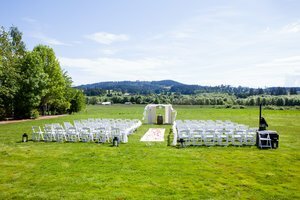 Besides having your ceremony in the Countryside Meadow, consider its many other uses. 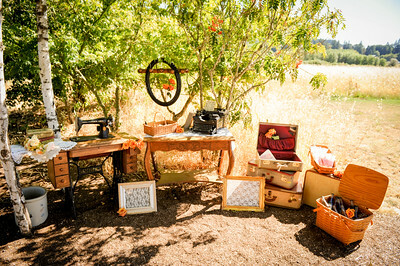 There are some great little nooks in the trees, perfect for your guest book, favors, or refreshments. The neutral space allows you to really let your imagination go and do a little or a lot, either way, there is no wrong in this space. 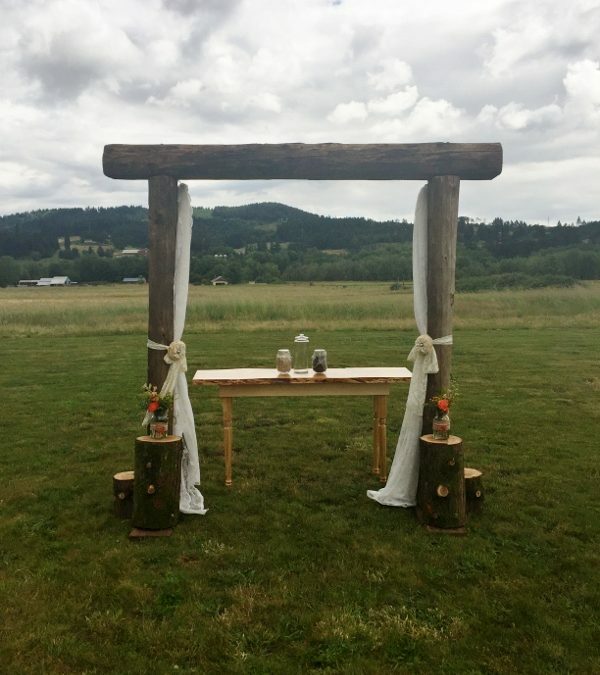 One of my favorite ideas has been using the Countryside Meadows as your reception area. Dining outdoors always has a romantic vibe and these wood chairs with a lace cloth couldn’t be more swoon worthy. 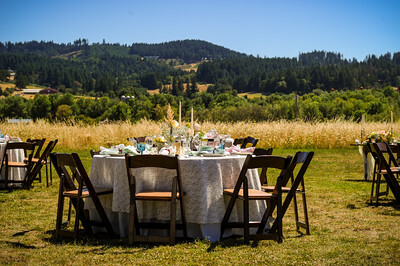 A delicious dinner (from one of our amazing preferred caters, of course), a picturesque view, and newly pledge love in the air, our hearts just may burst!